Safe2Torch is a new risk assessment strategy instigated by the National Federation of Roofing Contractors (NFRC), which aims to reduce the risk of roof fires when using gas torches on roofs. This brief guide introduces the strategy and describes how schools can ensure that they benefit from it when work is being done on school roofs. Why do I need to be concerned about Safe2Torch? Torch on roofing is a long established and high-quality product which is used extensively across the country for many decades. Modern torch-applied bitumen roofing systems are extremely effective and high quality and are ubiquitous in flat roof school buildings, but with repair and replacement using these materials there is always a need to assess the fire risk. Fire risk has always been a concern of specifiers and clients, with a number of fires in recent years being put down to the poor use of naked flames or other ‘hot works’ on roofing projects. The NFRC states that hot works (naked flames, sparks and hot materials) are used in at least 50% of all flat roofs installed in the UK. Ian Dryden, Specification Manager at SIG Design & Technology and expert in SIGnature roofing systems agrees. “Anything that reduces potential risk on site is to be welcomed. This is why we welcomed the intelligent, holistic approach of the Safe2Torch strategy, which tackles survey, specification and installation, and reduces the potential of poor installation spoiling the good name of a well-used and high-quality product such as torch-on roofing”. 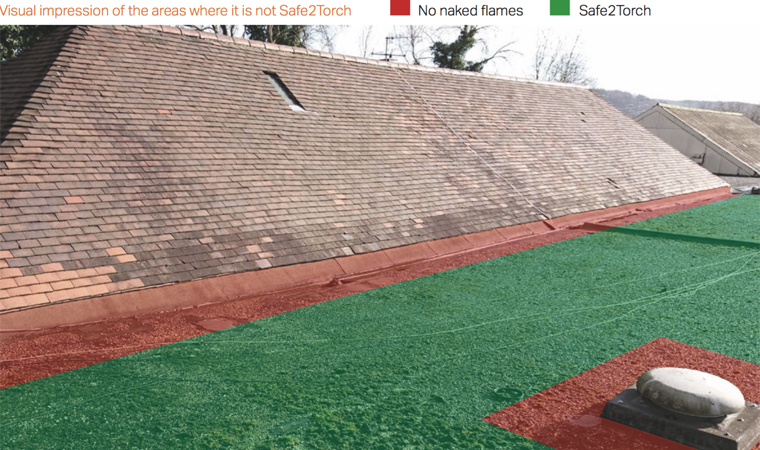 Safe2Torch overcomes common issues with the risk of hot works on roofs, by making the process of removing risk simple and easy to follow. Safe2Torch is designed to confirm that where there is a fire risk (or a fire risk cannot be ruled out) designers and installers will default to torch-free solutions and revert to torch application only if it is proven safe and agreed between all parties. The Safe2Torch strategy is therefore important for anyone involved in the design, specification and installation of roofing in the UK. How do we comply with Safe2Torch? 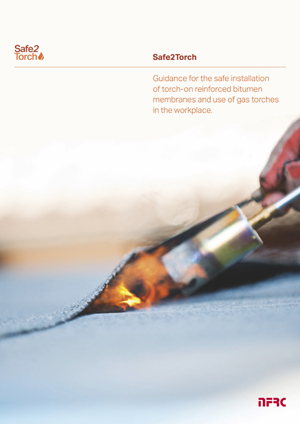 To assist in the implementation of this new strategy, the NFRC have produced a guidance document, a checklist and a ‘Safe2Torch Pledge’ to which designers and installers can commit. 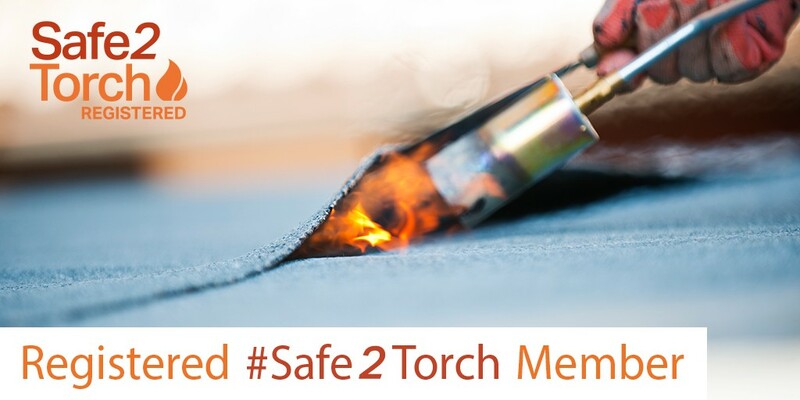 Ask your architect or surveyor to ensure that roofing package designers, manufacturers and roofing contractors are signed up to the Safe2Torch Pledge, and use the Safe2Torch guidelines on your project. As part of their campaign to spread the use of the Safe2Torch guidance, the NFRC has urged all designers and installers to sign the Safe2Torch pledge. SIG Design & Technology signed up to the Safe2Torch campaign at its inception, and is a registered Safe2Torch member. Ensure all supervisors or charge hands have completed the Safe2Torch checklist prior to hot works commencing. Provide support and advice to specifiers with whom we work. We work with a range of producers of roofing materials and are liaising with them to ensure that the best product-related advice is applied and provided to specifiers and our contractor network. When necessary, we have alternative product available which do not require hot works, such as cold applied waterproofing systems, single ply systems and so on. As an impartial supplier of roofing materials, SIG Design and Technology can recommend the right products for any situation. On a recent project in Darlington, for example, a specification was developed which did not use ‘hot works’ but instead a cold applied liquid roofing repair. We follow the Safe2Torch approach to when using torch-free alternatives should be considered. In our roofing surveys we will identify risk areas and highlight areas which are not Safe2Torch using a Safe2Torch roof plan. We have introduced Safe2Torch procedures into our DATAC and SIGnature contractor training so that our accredited members are also Safe2Torch accredited. We require DATAC and SIGnature installers to sign up to the Safe2Torch Pledge as part of their accreditation. When our contractors carry out hot works to our designs, they will follow the guidance and good practice with the equipment, and use non-hot works methods for protecting and drying roofs. Got a question about Safe2Torch? Ask us here.